From reading the title you may be slightly confused of who/what dollysnowflake is. 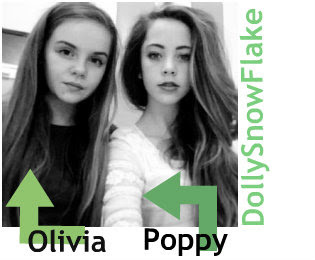 Well firstly let us just say hi, we're dollysnowflake (Olivia and Poppy) and we write our own fashion and beauty blog just like Graces! We are writing a post on Graces blog as she on holiday but wanted her lovely viewers to still have a post to read, so that is where we come in. If you would like to check out our blog click here and to read more about dollysnowflake go on the 'about us' section of our blog. So after that slightly rambly start we are going to write about back to school survival kit. I'm sure some of you have just gone back to school or some of you are going back some time soon (boo!) so we thought this would be the perfect post to write for you. For you who don't know what a survival kit is its basically items that you keep in your bag to keep you prepared for all possible situations. So to find out whats in our back to school survival kit stay tuned. 1. My first tip for what to put in your survival kit would be a hand sanitiser. You can get these for as cheap as £1 which would be £1 very well spend as hand sanitisers can come in handy a lot at school. Think about how many germs there is on school keyboards, or the banisters on the stairs? Its always good to be the friend who everyone asks to borrow their hand sanitiser! 2. The next thing I would recommend is gum/mints. 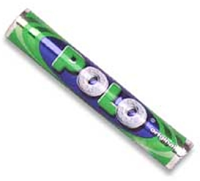 Some of my favourites would be Polos or Wrigleys which you can get basically anywhere. A lot of teachers won't let you eat/chew in class but it is always good to have in your school bag for in-between classes. You never know when the school cafeteria could be serving garlic bread and you don't want your breath to be smelling horrid. Also I think that gum and mints wake me up on a morning but I don't know about you!? 3.The next essential is a lip balm or some sort of lip product that we keep your lips looking nice and feeling hydrated through out the day. 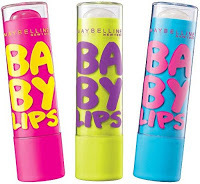 Two of our personal favourite lip products for school are the 'Revlon lip butters' we think these lipsticks are so nice and glossy but have just the right amount of colour for school, although some are a lot more pigmented than the others; Our other favourite lip product for school are the 'Maybelline baby lips' we adore these products as they are better for your lips than any lipstick and make them feel silky smooth too! They come in a range of sheer colours like pink, cherry and peach or you could choose one with no colour at all. sort. Having something to eat at school is vital as it's very unhealthy to go 5-6 hours without anything to munch on. So we think having a cereal bar in your packed lunch box is key because they are healthy as well as filling and they will also give you lots of energy ( which everyone needs at school! ) 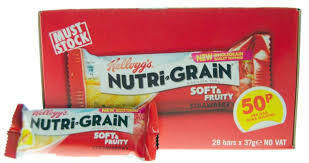 We love nutri-grain bars because they are so tasty and come in a range of different flavors. So that was our back to school survival kit essentials, we hope you enjoyed it and don't forget to click here to check out more of our posts on dollysnowflake. We'd also like to say thanks to Grace for letting us take over blondiestylefix! Drop a comment to tell us whats in your survival kit, as we'd love to know! I am following you via gfc&bloglovin!Hope you'll do the same! P.S Thank you for commenting my blog!